That Blue Sky Feeling Vol. 2 Review – AiPT! 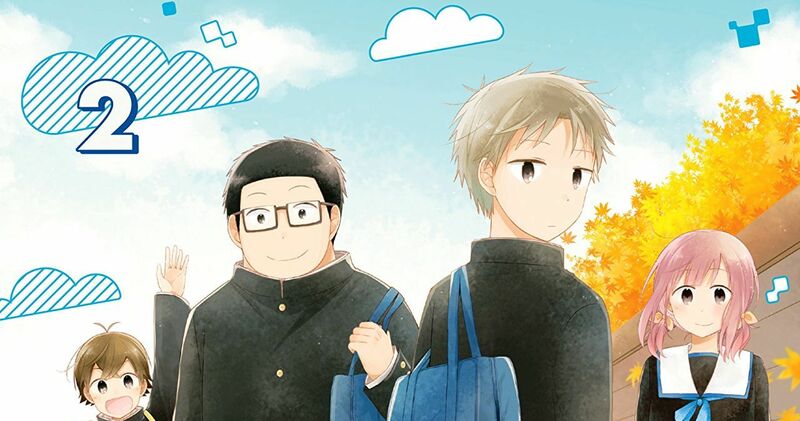 Volume 2 of Viz Media’s That Blue Sky Feeling continues the slice of life drama of Noshiro and Sanada as they navigate their confusing feelings for one another. In this volume, writer Okura does more character work with Sanada’s childhood friend Ayumi as well as introduces a new character into the mix. Do these newly explored characters maintain the blue sky feeling or do they feel like unwelcome clouds? The first half of the volume centers the story around Sanada’s friend Ayumi and works through her unrequited feelings for Sanada. As Sanada is gay, the reader knows he’ll never return Ayumi’s feelings and artist Hashii Coma occasionally implies that Ayumi knows the same through her facial expressions. Nevertheless, her feelings are what they are and that interpersonal conflict must be reconciled. I can’t say these chapters did much for me as an adult reader, but the kind of drama on display here is very typical of the high school experience. Younger readers than I might be able to relate better to Ayumi’s unrequited feelings, especially if they’ve similarly fallen for a young queer man. However, though these chapters didn’t affect me much, I appreciated the way Okura handled the conflict, emphasizing honesty and communication: behaviors that have and continue to be key to all the conflicts in the series. The newly introduced character, a sophomore named Makoto, also grapples with unrequited affection. This time it’s towards Noshiro who, as far as he knows thus far, is straight. I make that distinction because the previous volume already saw Noshiro developing feelings for Sanada, but he continues to be ignorant of what those feelings mean or if they at all qualify his identity in any way. Because of his lack of introspection thus far he continues to view himself as just straight, thus creating the tension between Makoto’s affection and Noshiro’s desire to reject Makoto without hurting him. This half of the volume was much more engaging for me, as I have absolutely been that young, foolish gay guy in high school who has an unrequited crush on a straight boy. Makoto manages to come across as far more extra than I ever was, but his hyperbolic external behavior felt very relatable to the hyperbolic internal feelings by which I was plagued. Sanada’s inclusion in this tangle of hormones adds a lot of nuance as he wrestles with his developing feelings for Noshiro, his annoyance with Makoto’s loud expressions of his queerness, and the possibility that some of that annoyance might be born of jealousy. It feels so refreshing to read a series that features a group of queer characters working through their developing identities with and against one another, as it elevates the emotional depth of the series as each new perspective is added. With each new queer character, the weight of “good representation” is lifted from all of them as no one character has to weather the burden of being everything queerness is to all queer people; an impossible task. Hashii Coma’s artwork continues to give the series a very soft feeling with rounded edges in their line-work and wide, bright eyes. Hashii and their assistants use a lot of cloudy textures with soft circles which further add to the gentle mood of the series. There’s seldom a panel that doesn’t fill the blank space behind characters with some sort of texture, which brightens up the pages without making them feel too busy. The series grapples with a lot of teen angst, but in a way that doesn’t lose any lightness even if the characters are weighed down by their internal conflicts. Hashii continues to convey a lot of emotion with slight changes to characters’ expressions, whether it’s by slightly curving the edge of a character’s mouth or slightly narrowing their eyes. At times I feel Hashii relies too often on close-ups of characters with their eyebrows raised, but only because it’s an expression that repeats fairly often throughout the volume. The more it’s used, the less it feels like it’s conveying anything. Otherwise, the art team continues to be pitch perfect for the series. My only major complaint with the volume is that the use of Noshiro’s naivete continues to be a bit hit-or-miss with regards to how realistic the character comes across. Are there high school-aged young men who have no emotional competence and therefore have to learn basic communication even as high school juniors and seniors? Droves of them. However, there are times when Noshiro appears to have not learned anything from the previous chapters, especially when it comes to queerness and the ways it might affect one’s ability to express themself. This never detracts from the narrative in a major way or completely pulls me out of the drama, but I can’t help but furrow my brow now and then when I feel that Noshiro should know better by now. Overall, That Blue Sky Feeling continues to be an absolute delight of a series. I love being able to read a manga that features a wider spectrum of queer representation and I especially love that it exists for younger readers who may be able to see themselves on the page. The first half of the volume was a little slow to start, but it picked up a lot with the introduction of Makoto and kept going strong from there. This series continues to be an excellent slice of life drama which explores a variety of queer experiences. The artwork elevates the series and makes for a complete package I can’t wait to read more of with each release. Having so many queer characters in the series and allowing their developing identities to clash adds a lot of nuance. Hashii and the art team continue to deliver pitch perfect work with a very soft feeling that elevates and expresses the tone. The first half of the volume was a little slow for me but might be less so for younger readers. Noshiro’s naivete can be a little unrealistic at times. Hashii occasionally relies on a repeated facial expression that doesn’t feel as nuanced as many of their other faces.